Hilton Charlotte Executive Park is the perfect location to host a Charlotte, North Carolina business meeting, special event, conference or wedding. With over 10,000 sq. 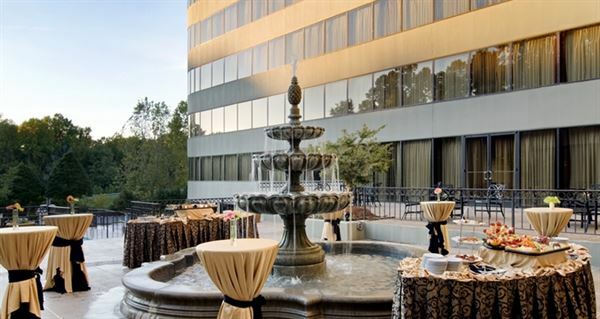 ft. of meeting space, this Hilton hotel offers a wide variety of meeting and wedding venues in Charlotte, NC. Choose from the Grand Ballroom, Crown Ballroom, Terrace Parlor, outdoor Courtyard, Executive Boardroom and more. Professional Team Members will assist with event planning and execution.